It’s been a year since Elena and Adam were first recruited by Aether Corporation and six months since they destroyed the accelerator, finally putting an end to Project Chronos and their involvement with Aether. Now they’re trying to move on with their lives. Elena’s in college and Adam is working on making genicote, his cure for cancer, safe for the public. But genicote has become a dangerous fixation for Adam. He’ll do anything to figure it out, and when he goes missing, Elena realizes that he’s done the unthinkable: he went to Aether for help with the cure. To Elena’s horror, she discovers that Aether has created a new accelerator. Adam betrayed her trust and has traveled into the future to find the fix for his cure, but he didn’t come back when he was supposed to. 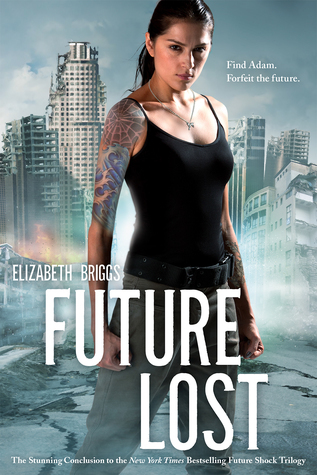 Desperate to find him, Elena decides to risk future shock and time travels once more. This future is nothing like they’ve seen before. Someone has weaponized Adam’s cure and created a dangerous pandemic, leading to the destruction of civilization. If Elena can’t find Adam and stop this, everyone is at risk. And someone will do anything to keep her from succeeding.